Carrying Hope. Pandit Ronu Majumdar. $7.00 One of the best albums released by Pandit Ronu Majumdar. 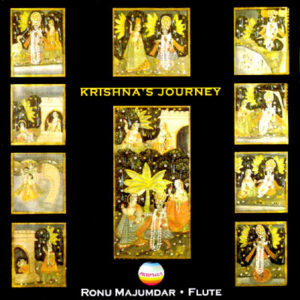 In this album, talented young musicianand composer Pandit Ronu Majumdar handles an unusual and challenging theme with great sensitivity , drawing on both Indian and Western modes. By turns the music is sparkling, tranquil and thoughtful, yet always enlivened with freshness and a sense of joyful anticipation. It is an album of great variety. 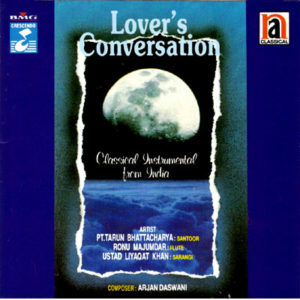 The Tracks feature musicians who are distinguished soloists in their own right, like Pandit Vishwa Mohan Bhatt, Dr. N. Raman, Sangeeta Shankar, Niladri Kumar, Rajesh Rajbhatt, Tafiq Qureshi. Including Vocalists Ashwini Bhide Deshpande and Kavita Krishnamurty.